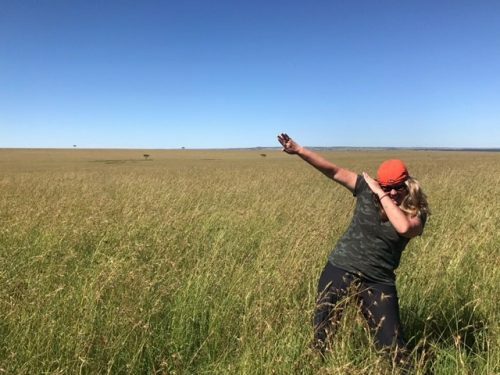 This is Kacyn (the gal who typically answers the phone when you call) posing in Northern Serengeti on our recent photography expedition in Tanzania. If you have a kid or grandkid in school right now, you probably recognize this hip-hop dance move. It’s called “the dab,” and it’s used like an exclamation point at the end of a dance or anything you did that you want to emphasize. Someone says, Hey, what’s your name? 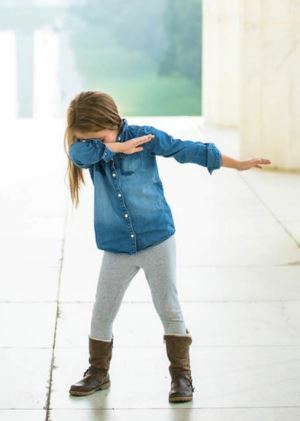 She says, “Charlie,” then dabs. She’s a lot cooler than I am. Yes, it’s silly. But now that you know what it is, you’re on the inside. 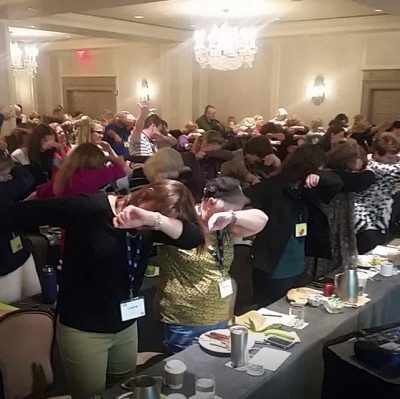 The world around you is doing the dab and you know what it means. And that’s what it feels like to be a part of this travel community. You travel and you “get” it. You get what life means. You find purpose. And you understand why all the little things in life—being outside when the weather is perfect, the crunch of snow under a tight ski boot, laughing until your face hurts—are all actually really big things that not everyone can enjoy. And you appreciate that. We have courses, workshops, and expeditions all designed to put you in the know and help you navigate the world with a big smile on your face. And that gets a dab in my book. People tell me they travel with us again and again because we attract the right kind of people. We pick cool destinations, we teach fun skills, and they return home with new friends. It’s a certain kind of person who wants to travel this way and it’s the kind of person I like surrounding myself with. Keep an eye for updates on our event page. It’d be cool to see you someplace cool <dab>.